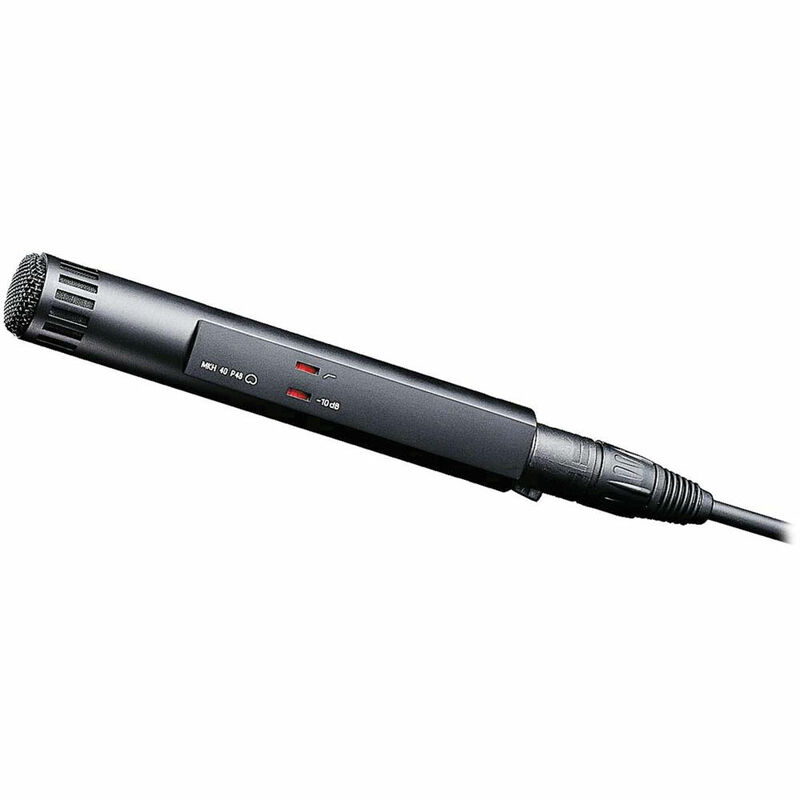 The MKH 40 P 48 Microphone from Sennheiser is a pressure gradient condenser microphone designed for remote recording, sound reinforcement, instrument capturing, group and choir capturing and speech. The MKH 40's capsule features symmetrical transducer technology that ensures extremely low distortion, and its wide-angle cardioid polar pattern provides balanced sound reproduction. Reverse attenuation ensures maximum rejection of off-axis sound, providing exceptional control of the captured ambiance. The MKH 40 P48 features a low frequency roll-off switch, to minimize rumble and noise. Switchable pre-attenuation provides an additional 10 dB of headroom, preventing distortion and overload caused by transient signals at close proximity. Box Dimensions (LxWxH) 14.0 x 5.4 x 2.8"
MKH 40 P48 Microphone is rated 5.0 out of 5 by 2. Rated 5 out of 5 by Jim Hurst from Reliable accurate reproduction anywhere I have used this microphone in a MS configuration with the Mkh 30 in insane humidity (Midway Atoll) and in bitter cold at 20,000ft in the Himalaya. It always sounds great. It's also my first choice for an interior boom dialog mic when there's more than one subject. It's forgiving off axis and rejects room reflexion. Rated 5 out of 5 by T-Roy Cooks from Great Indoor Mic I shoot a lot inside and needed a really nice condenser mic. The MKH 40 is the perfect mic and it sounds incredible.